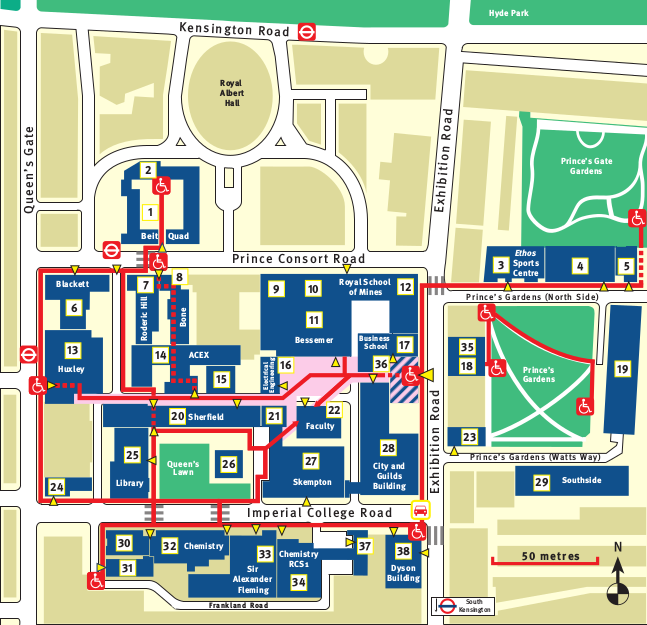 My office is located in the ACE Extension building (ACEX 259 - building 15 on the map below). The best entry point is via Exhibition road, through the Business school. From there, just take the stairs towards the outdoor court. Enter the outdoor corridor after the court and the ACE building will be on your right after the Data Science Institute.